The North Face Women's Surge Daypack is designed to stand up to the rigors of daily use-and-abuse. 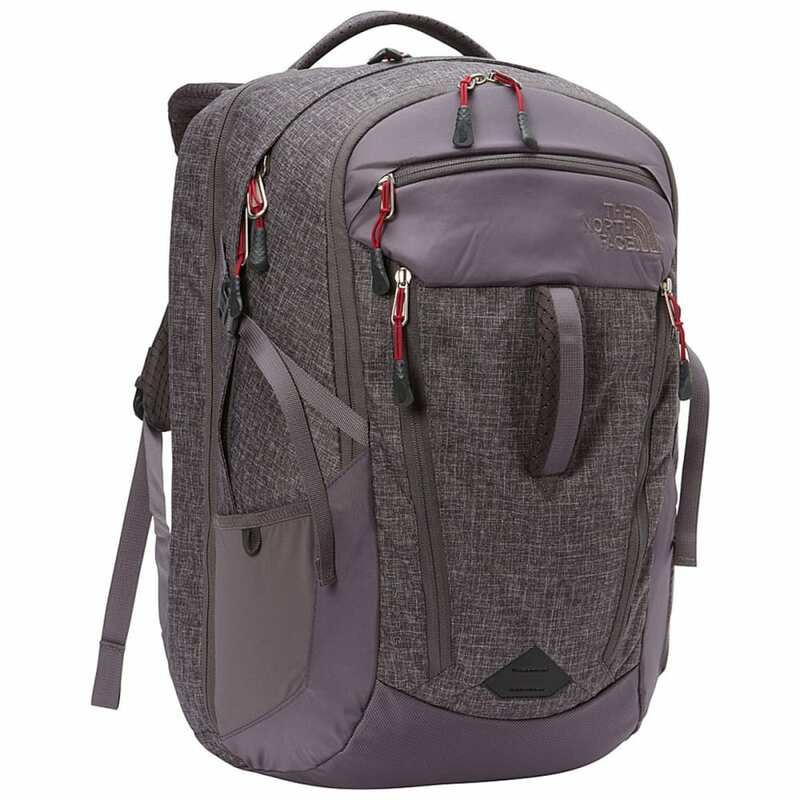 Made from a rugged, hyper-durable ballistic nylon fabric, with a dedicated and padded laptop compartment it protects your packs precious contents. Dimensions: 18.5 x 14 x 8.5 in.